Welcome to Toyota of Alvin’s Parts Department! The Parts Department at Toyota of Alvin grants you access to a comprehensive inventory of high quality genuine OEM parts. Our friendly and highly knowledgeable staff is here to answer your parts inquiries. If for some reason we do not have your part in stock, we can easily always order it for you so you can receive it in a timely manner. If you decide you’d rather have one of our trained technicians install a part, visit our Service Center or Body Shop where our highly capable team will happily assist you. At Toyota of Alvin, we make sure each part is installed accurately and with care. We proudly serve the greater Alvin, Texas areas. Own a Scion? 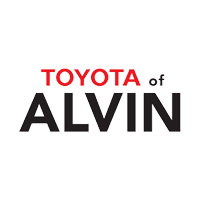 If you own a Scion, Toyota of Alvin assures you your vehicle is in good company. Your Scion will receive proper care by trained technicians using Genuine Toyota Parts.